Nike Air Force 1 "Obsidian/Blue Glow"
Nike continues its widespread use of the ever-popular Blue Glow hue as it makes its way onto the heralded Air Force 1s. 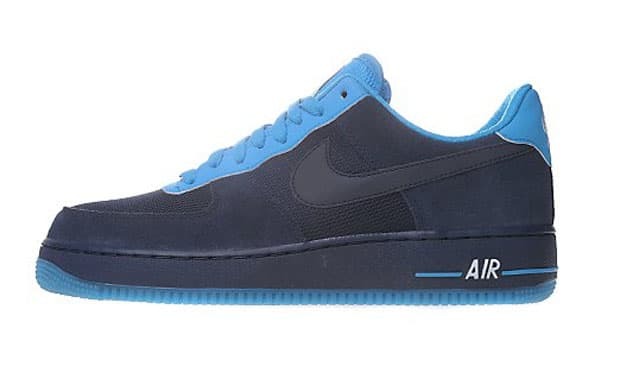 The upper of these AF1 Lows is comprised of blue suede and mesh, while the Blue Glow accents give it a nice pop-effect. And hey — if you&apos;ve still got that Nuggets Melo jersey, these could be a nice fit. Hit up JD Sports to purchase.